Multimedia firm TerraTec is to launch its Noxon 2 radio for the Apple iPod at the CeBIT exhibition in Hannover, Germany later this week. 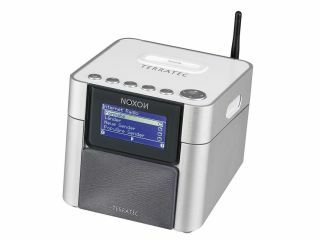 The redesigned Terratec Noxon 2 is able to tune into 9,000 online radio stations, and features an FM tuner for terrestrial radio programming, as well as an Apple iPod docking station. The WLAN audio player lets users listen to the music on their Apple iPod through the Noxon 2's stereo speakers or a connected stereo set. TerraTec will also show off other products - including its new DVB-T aerial Antenna 1 and WebCam X2, as well as updated Noxon firmware and the new TerraTec HomeCinema TV software - at CeBIT this week.